1. Epcot is your friend. So many people think Epcot isn’t for kids. I beg to differ. We took my son to Epcot for the first time at 3 years old and he loved it. There are so many areas that are made to stimulate their imagination. A. Study the Oceans in your homeschool lessons and then use the Living Seas pavilion to reinforce what you’ve learned. B. Start a garden and then head to the Land pavilion. There you can discuss plant life cycles, hybrid plants or hydroponics techniques, depending on the age of your child. C. Study the 11 countries on the World Showcase. The age of your child will dictate how in-depth your study will be. With my kindergartener, locating them on the wall map, learning their continent, studying their language, environment, unique animals, and a small overview of their culture, history and religion is good enough. We plan about 10 days for each country. 2. Even Magic Kingdom presents opportunities for education. Most people don’t realize that most Disney movies are based on books, poems or stories from all around the world. For instance, Mulan is based on the Ballad of Mulan from early China. Reading the primary materials and comparing them to the Disney version can be great for not only providing your child with a great base of classic literature, poetry and mythos. 3. Animal Kingdom provides a unique opportunity to view animals in their habitats. It is also a chance to study African and Asian countries typically not covered in traditional schools. 4. 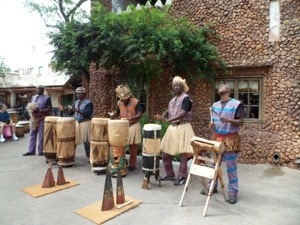 Disney has a multitude of cultural experiences available to enrich your child’s understanding and exposure to the world. In each of the World Showcase countries, the cast members who work at the different pavilions are originally from the nations represented. This gives your child the chance to interact with the people you have been studying, practice their new language skills, and ask questions about things they have learned about in class. In the coming weeks, I will post how we have incorporated the world showcase nations into our learning. I hope you enjoy! This entry was posted in family, School and tagged Family, Homeschooling, kids, walt disney world. Bookmark the permalink.